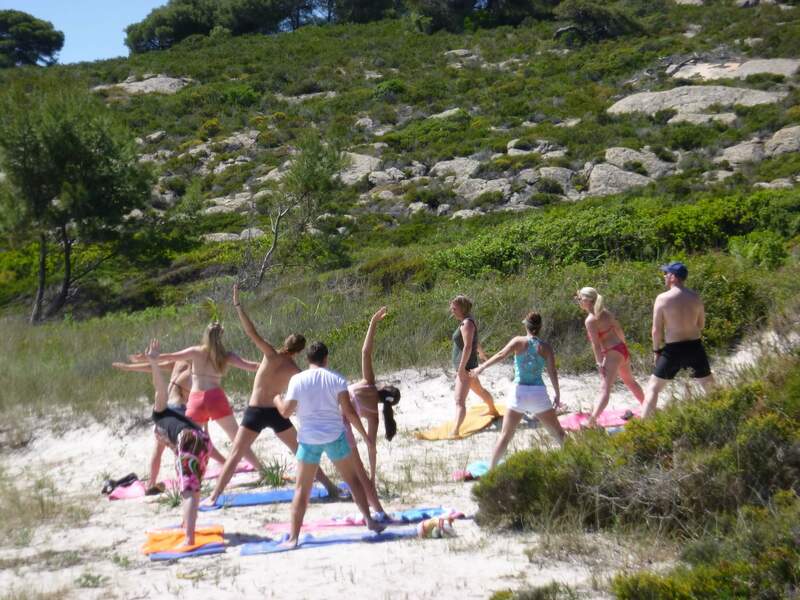 Yoga holidays in Greece are ideal for those who want to improve their physical, mental and emotional state, combining many popular techniques that aim at evolving to a higher level of bodily, mental and spiritual well-being, and harmonious co-existence. 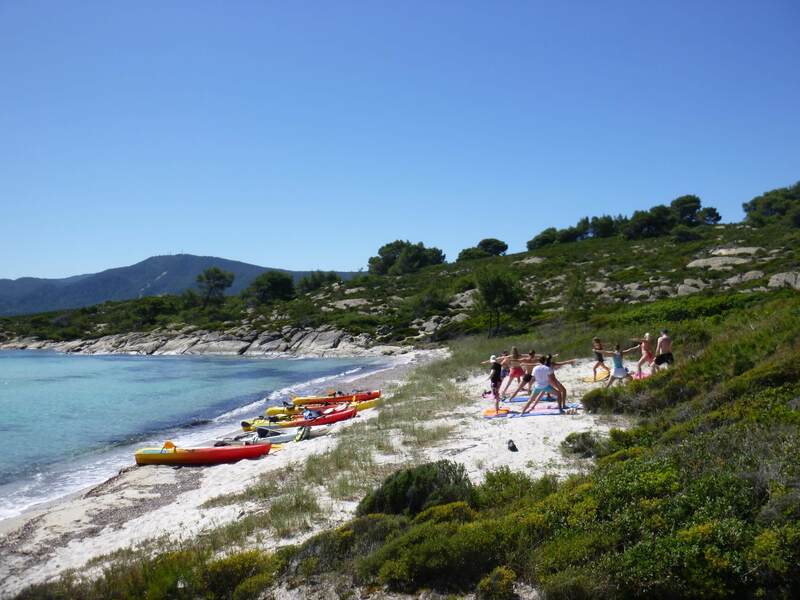 Our Yoga Kayaking Trip combines sea kayaking with yoga practice in the beautiful Diaporos island in the Bay of Vourvourou, aiming to enhance your awareness of the natural world around you through a guided sea kayak eco trip and uplifting yoga class. We experience our union with the energy of the Greek land and illuminate our spirit with the philosophy of the ancient Greek culture, in the exceptionally beautiful natural environment of Diaporos island in the Vourvourou Bay of Sithonia, in Halkidiki. 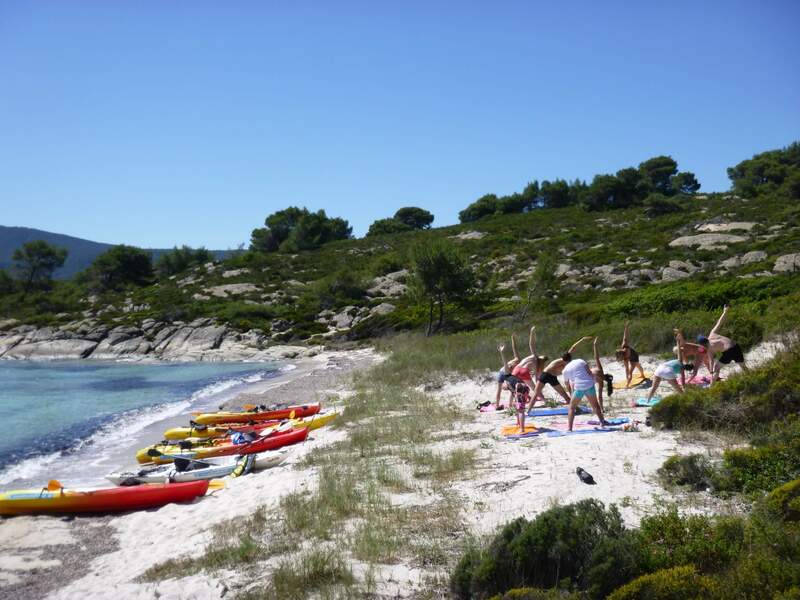 There is a minimum number of 6 participants required for the implementation of this Yoga Kayak trip. 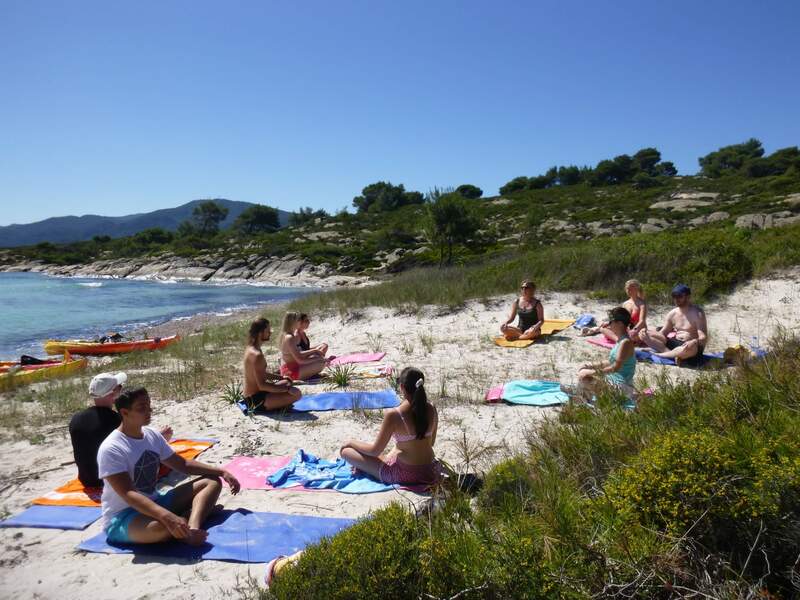 Our experienced yoga instructor, will help us to incorporate yoga, stretching and mindfulness in our day, complementing our kayaking experience. 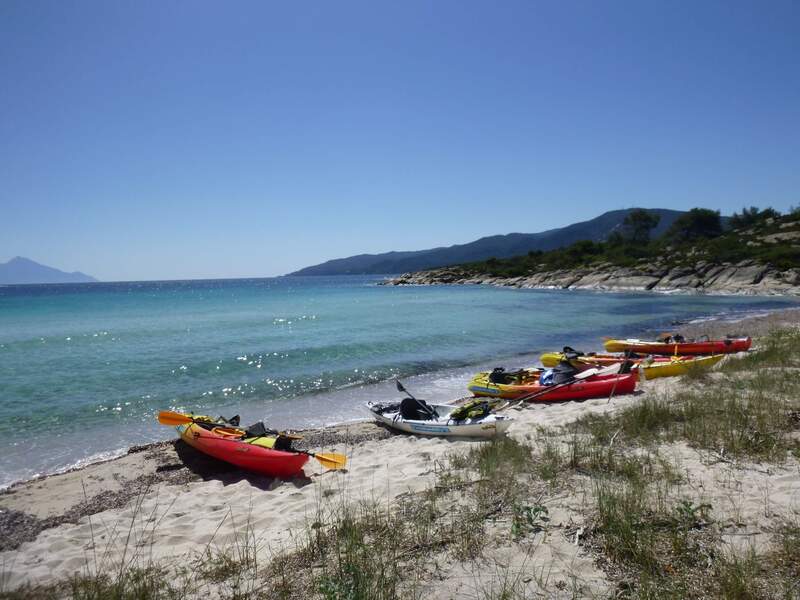 There will be no set session times or a set duration, but the trip will rather be designed based on the needs, desires and skills of the group, as well as on the weather conditions and paddling opportunities to ensure the right mix for everyone.